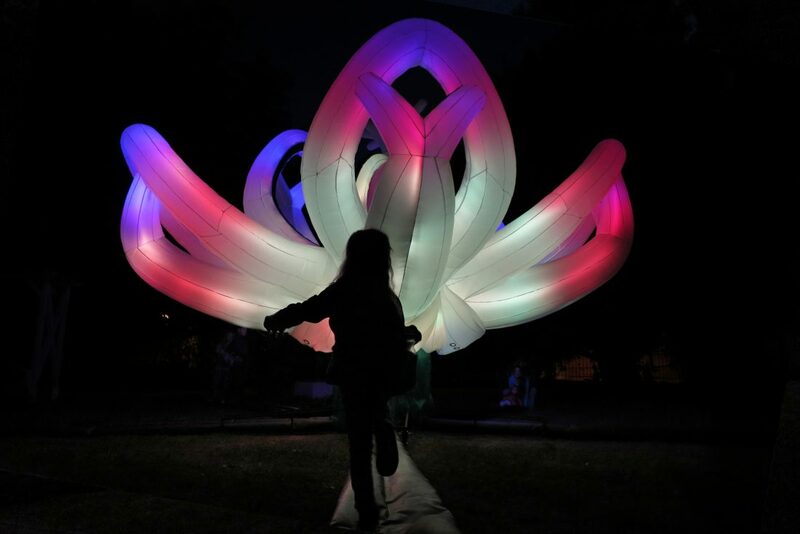 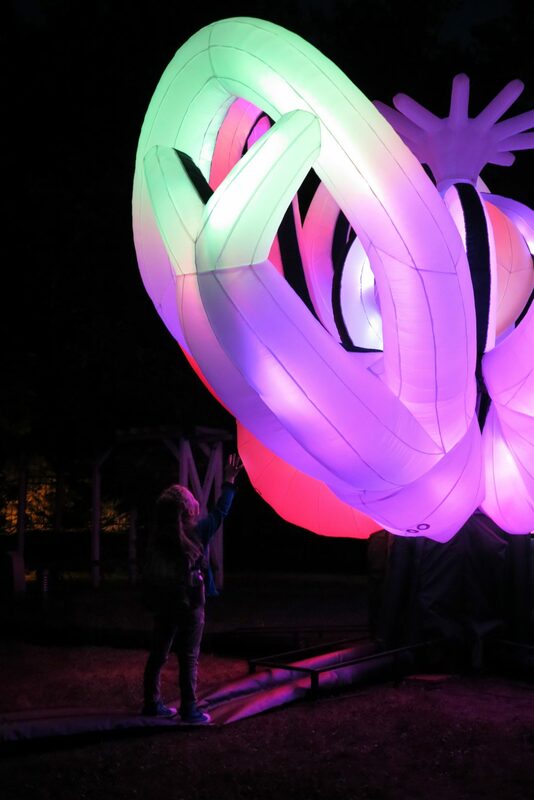 FLORET is an inflatable interactive light installation with programmed RGB led lights. 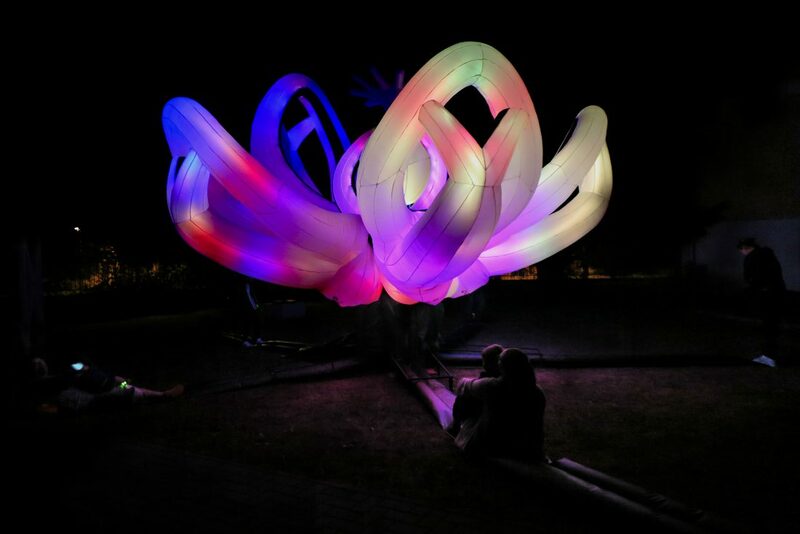 In the basic position all of the petals are closed, but when people in the audience step on the right place the petal will open. 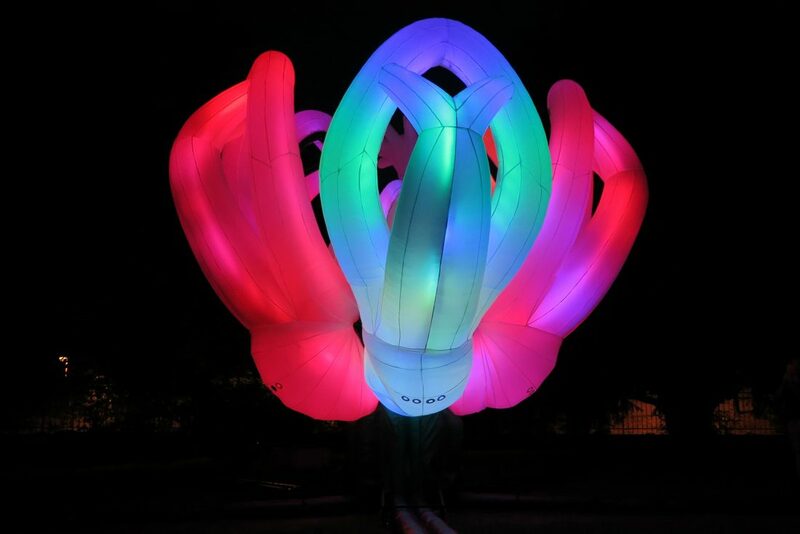 Using this points people are able to make the petal move.